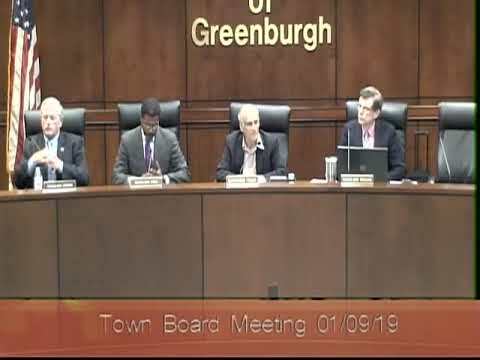 Last Wednesday evening the Greenburgh Town Board sponsored an informative discussion on an initiative to make assisted living facilities more affordable. I have formed a committee that will be reviewing possible action steps that the federal, state and town government can take to address this need. A link to the discussion we had is below. A committee I formed to focus attention on the need for affordable assisted living will meet on Friday, January 25 at 3:15 PM at Greenburgh town Hall. If you would like to join the committee please e mail me. Assisted living facilities are very expensive –most start at $7,000 to $8,000 a month. But, rates quickly escalate. I have met some people whose family members have paid over $20,000 a month. Most people who I have conferred with pay about $15,000 (which includes the additional services required). Not affordable to many Greenburgh residents. In NJ assisted living facilities offer seniors who have lived in the assisted living facility for more than 2 years the opportunity to obtain Medicaid---which enables them to avoid eviction after they run out of money. We are going to review that initiative and will encourage NYS Legislators to adopt a similar law. We learned rates seniors pay are not regulated. Some seniors and family members have complained that starting monthly rates can quickly escalate. Should assisted living facilities not be able to raise rents/rates more than a certain amount? Seniors quickly run out of money. Should the rate increases be regulated by NYS? The village of Scarsdale requires 10% of all multi family house be FAH units and applies to assisted living facilities. One can find this local law on the Scarsdale village website under the heading of village code (chapter 310-107) by clicking on the government tab on the homepage. The Ambassador assisted living facility at 9 Saxon Woods Road was built prior to the adoption of the village code. The village of Scarsdale worked with the developer during site plan review to secure 4 affordable units in this 115 bed development.